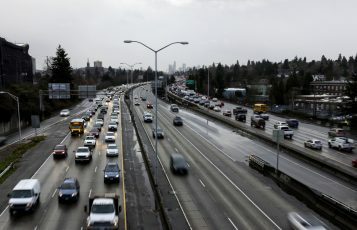 Managed lane projects are being developed nationwide as cost-effective congestion management relief tools. 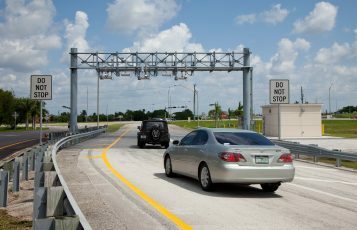 When developing an RFP, the agency should require close coordination between the toll system integrator and the design-build contractor. On many projects, the system integrator is hired under a separate contract from that of the contractor. But that could be detrimental. A coordinated approach benefits the project in four ways. The infrastructure design incorporates the system requirements. The agency’s technical requirements are met. Information is exchanged in a timely manner. Both the system integrator and contractor understand the overall project priorities. Another important aspect of having this coordination? It maximizes the agency’s opportunity to maintain the project schedule and reduce costs. When the agency encourages open communication, the design staff has a better understanding of the system integrator’s installation process, resulting in a more expeditious review and approval of the construction plans. 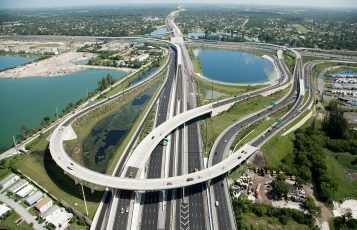 By working with the integrator, the contractor understands the toll system requirements and has the ability to highlight key concerns, working to ensure the design plans incorporate the infrastructure the system requires. 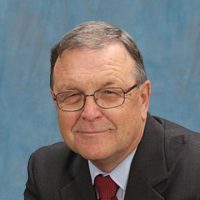 When the interim review packages are developed, the agency and stakeholders attending review meetings can more easily document issues and preferred outcomes in resolving them. When construction starts, the two should prioritize the toll system needs relative to location, power communication, structures, and traffic control. 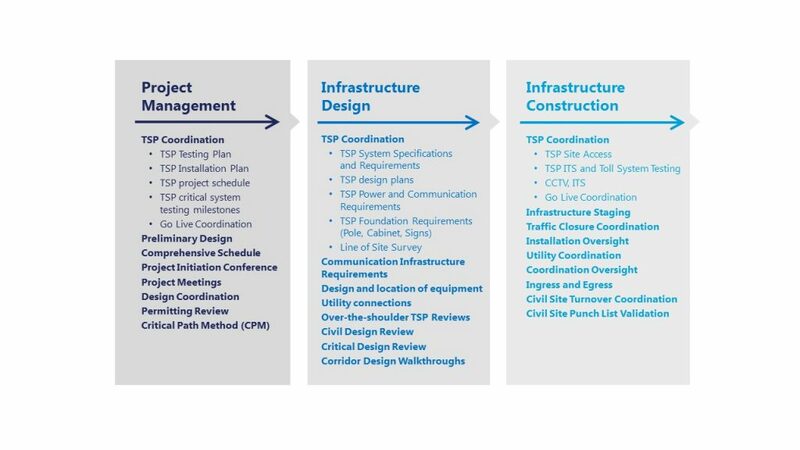 By understanding the system integrator’s schedules for the different project segments, the agency can avoid conflicts by staging the system integrator’s access to the tolling point. Upon completion of each system site installation, testing can then be conducted. This coordination involves a number of site specific components including power and communications, gantry connections and cabinet foundations, going through testing and final construction activities. Construction meetings held with the project stakeholders facilitate deliverables by both parties. 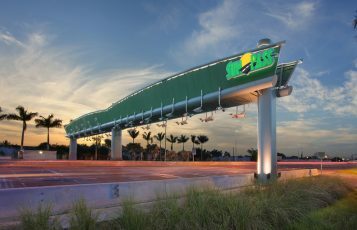 An example during toll system testing is having the contractor perform striping and final punch list work during off hours, thus allowing the system integrator roadway access to conduct their system tests. In managing the individual contracts, it’s important to understand the overall project staging and how the integration of the two project staffs can be done to expedite the project schedule. When the system integrator and contractor work together and understand the overall project requirements, the resulting operations and maintenance of the facility is enhanced to meet the needs of the public. Figure 1 illustrates the number of areas where the responsibilities of the DBC and SI intersect. NOTE: System Integrator (SI) is also known as Toll System Provider (TSP).